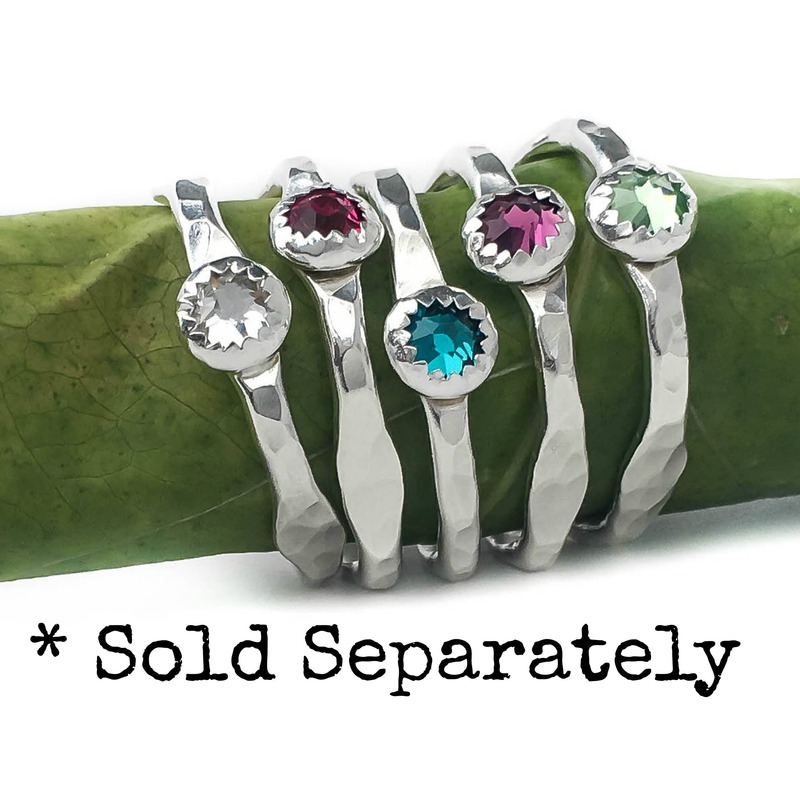 * Each ring is sold separately, the photos show multiple rings together so you can see how they look stacked together. 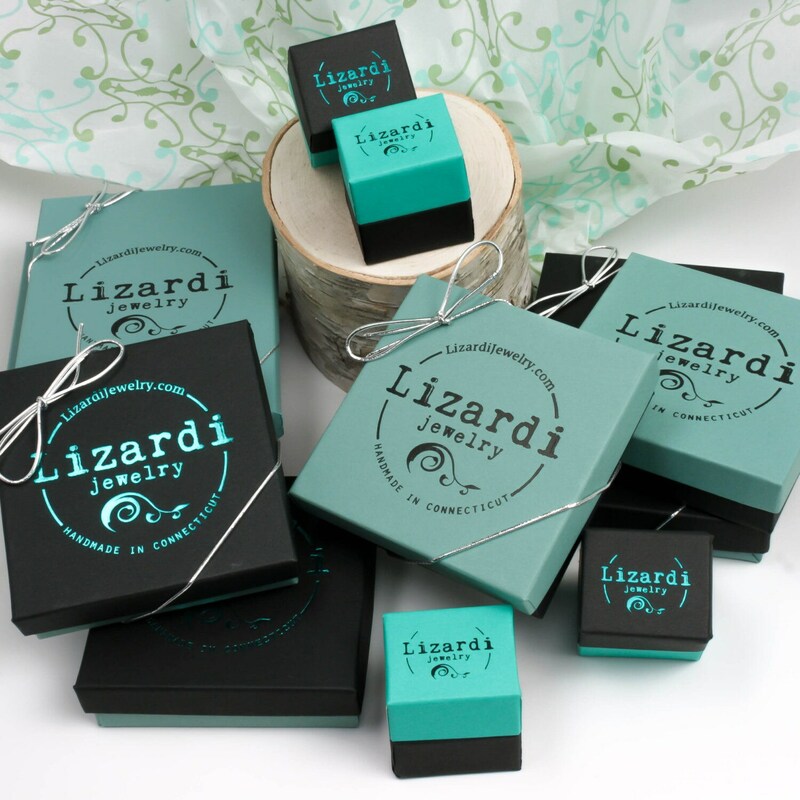 * Handmade and ready to ship within about 4 days of your order. * To place your order just select your quantity and size from the drop down menu and click the add to cart button. Once in the shopping cart there will be a spot for notes on your order. 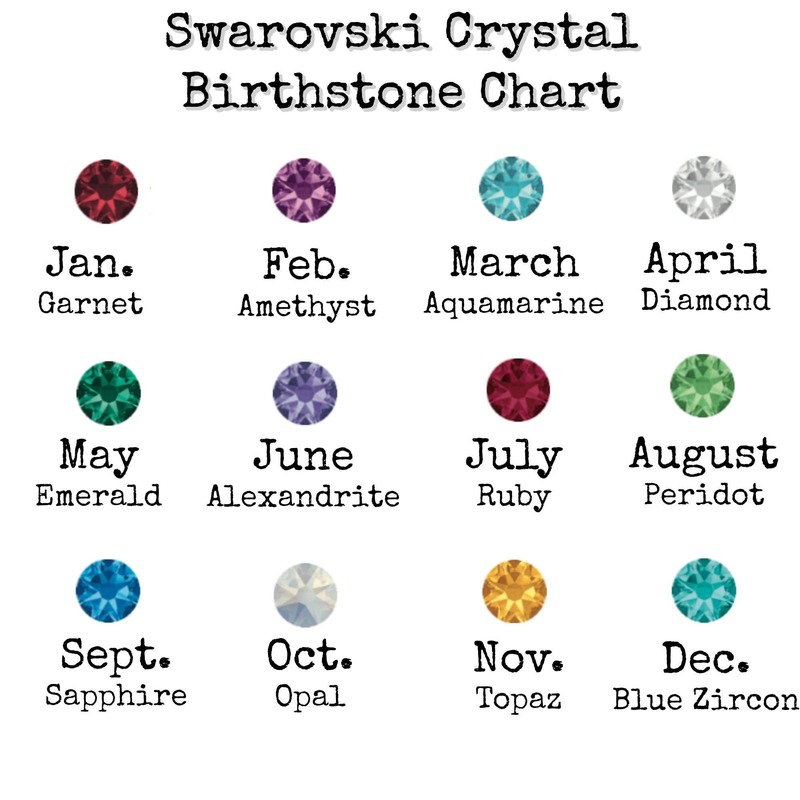 This is where you can let us know the birthstones we should use to create your ring. 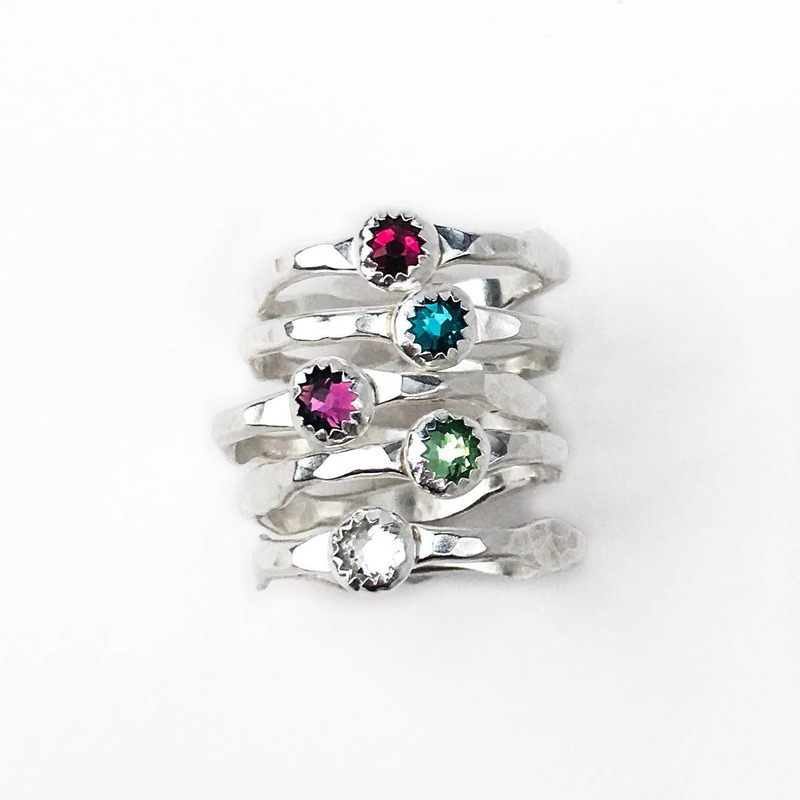 These unique sterling silver rings are custom made to order with your choice of birthstone. 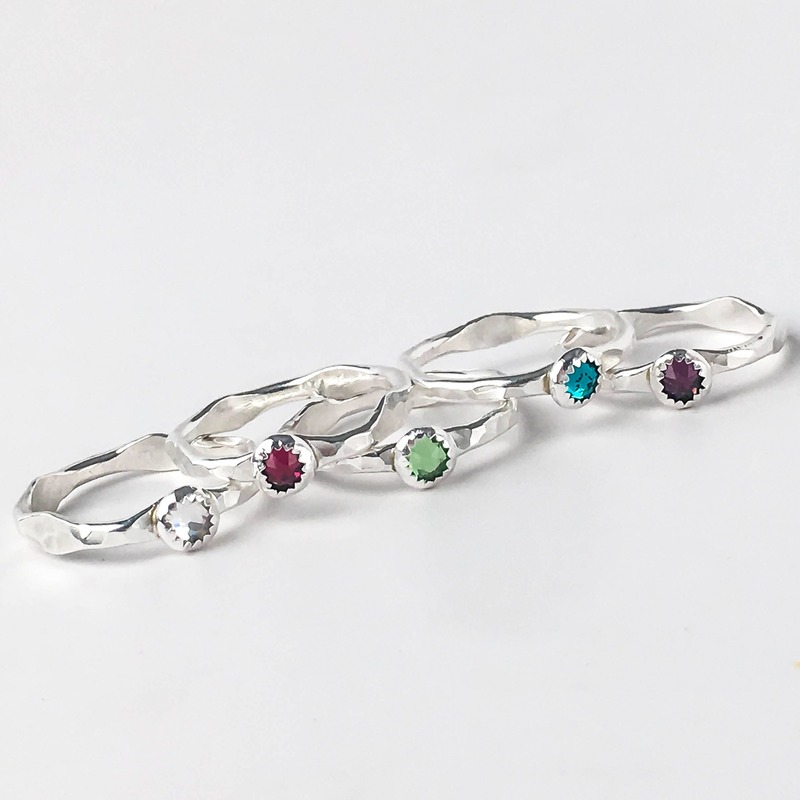 This listing is for ONE ring, the photos have multiple rings to show the variation in crystal colors. 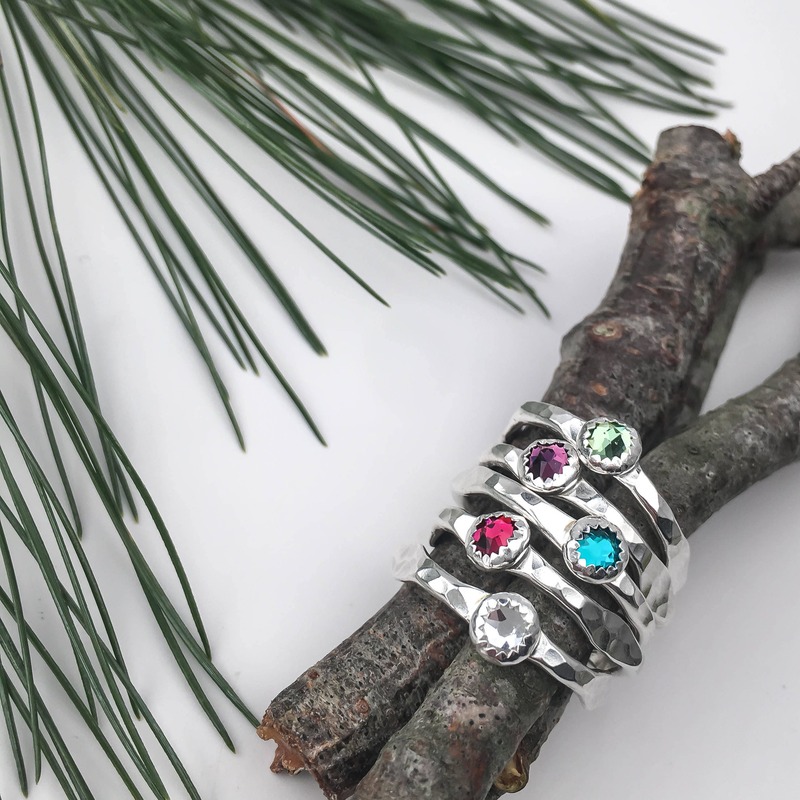 We carefully craft each one by hand, this starts out as a thick and solid piece of Argentium Sterling Silver that we hand forge, hammer texture and form into your ring. The band is hammer faceted to give it dimension and then it's polished to a high shine to catch the light perfectly. 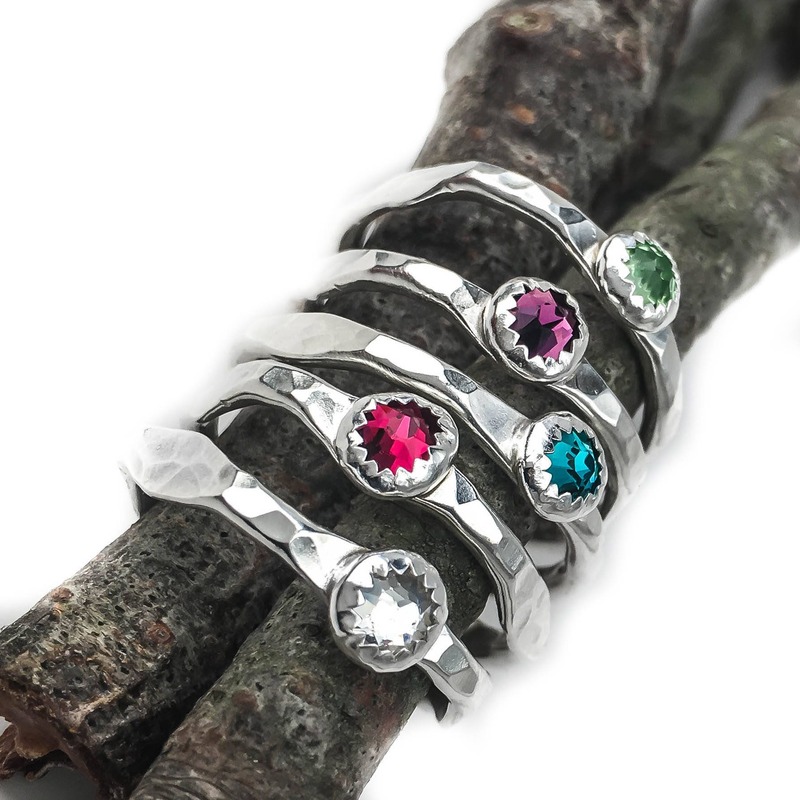 A bezel setting is soldered onto the band and we hand set in your choice of Swarovski Crystal Birthstone. 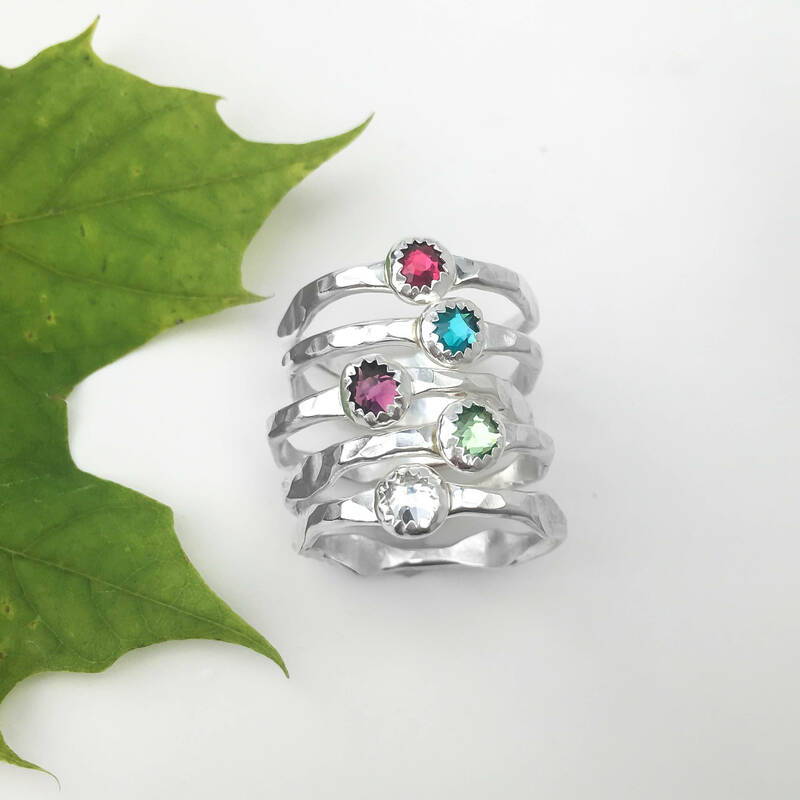 The crystals are so full of gorgeous sparkle and this make such a unique and beautiful birthstone ring, perfect for everyday wear! 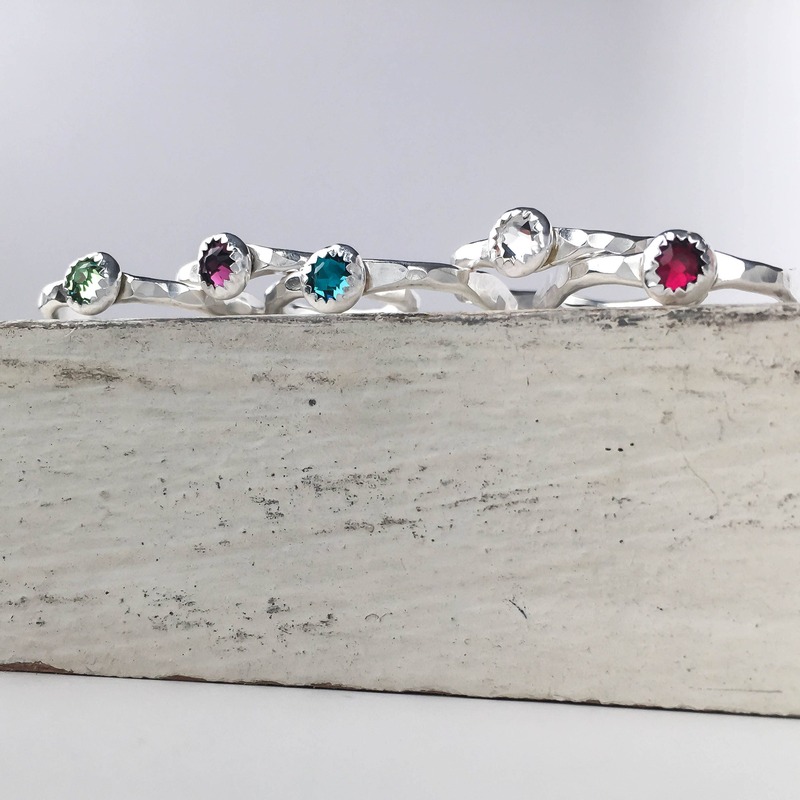 It's delicate enough to stack up with multiple rings and since it's created from thick, solid sterling silver, it can stand on it's own as a single ring too. 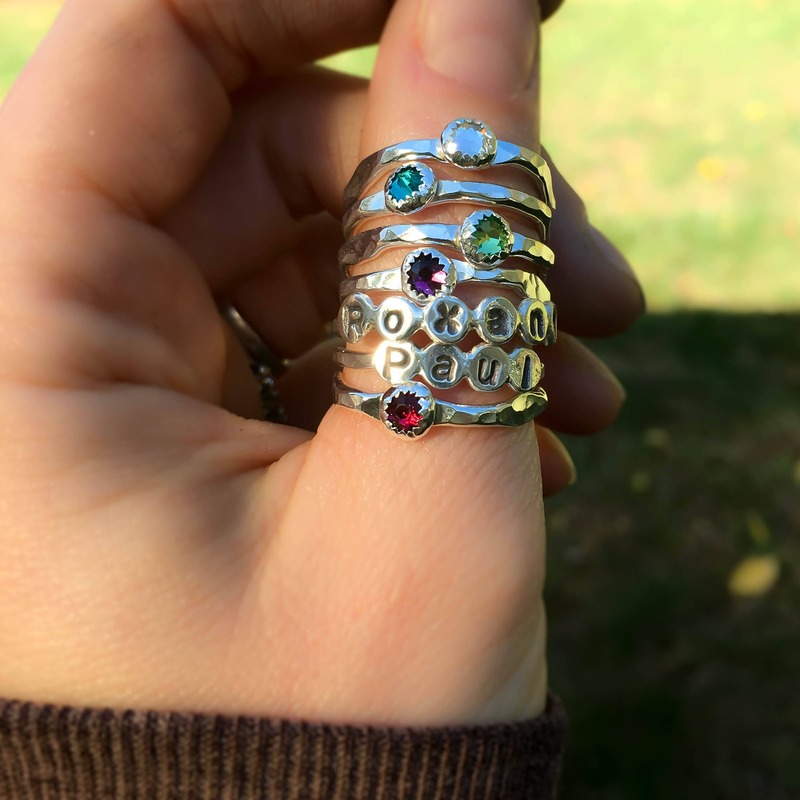 These would make great mother's or grandmother's rings!